February 18th, 1814 near Montereau, Seine-et-Marne, France. French army (25,000 men) under Emperor Napoleon the First. Austrian and Wurttemberg armies (18,000 men) under Field Marshal Karl Philipp Fürst zu Schwarzenberg and King Friedrich I. Wilhelm Karl von Württemberg. French army: about 2,000 dead and injured. Allied army: approximately 3,000 dead and 3,000 prisoners. 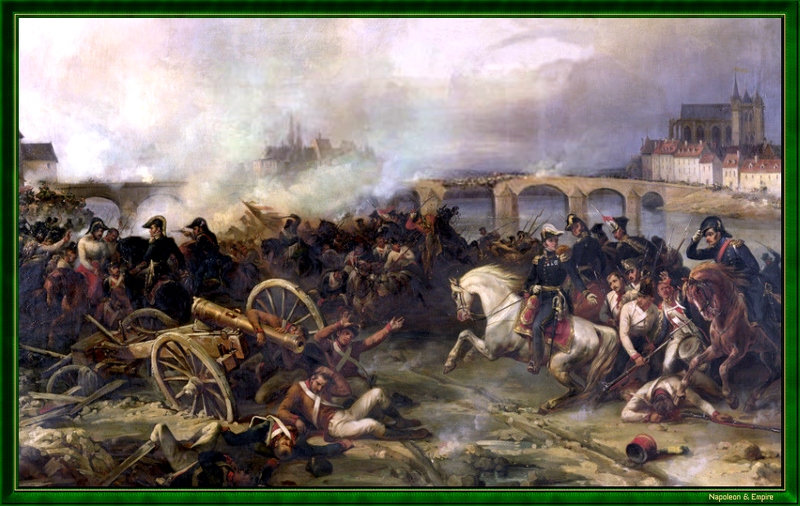 "Battle of Montereau, February 18th, 1814 - General Gerard in action" (detail). Painted by Jean-Charles Langlois, a.k.a. "The Colonel". This website has been designed for a screen resolution of 1280 x 800 pixels. Last update: 2017-10-13 20:59:42.